Just seven minutes or so from what is becoming a hot area thanks to revitalization efforts, our Tuesday Two Hundred this week takes us back to Wolf Creek. 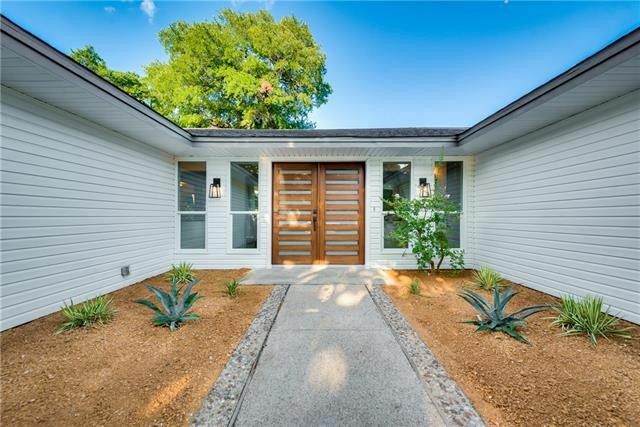 We’ve talked about Wolf Creek before — it’s a great neighborhood full of ranch-style and 80s era soft contemporary homes that are well-maintained, affordable, and are being renovated and updated beautifully. Wolf Creek is a great place to get the square footage you want, but at a price point that you can’t find often in other pockets of Dallas. Many homes, such as this week’s home, are priced in an increasingly dear $200,000 to $250,000 range. Most if not all in this range are updated and renovated, and some even have additional amenities like pools or workshop space. There are only 16 houses currently in inventory, and several of them already have pending or contingent offers. And in the case of 1007 Golden Trophy Drive, you can also add, “incredibly close to future amenities,” because it’s roughly seven minutes or so away from Red Bird Mall, which is now the focus of a revitalization project dubbed Red Bird Reimagined, where a decaying mall and adjacent properties are being transformed and well, reimagined. Neighbors of the long-closed H.S. 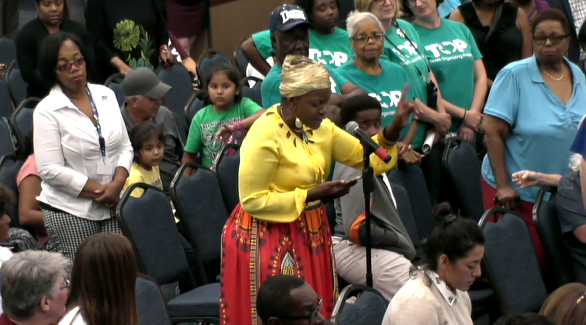 Thompson Learning Center took to the microphone to demand answers about their school at Thursday night’s Dallas ISD school board meeting. While it was a fairly tame evening, as far as school board meetings go, Thursday night’s regular Dallas ISD board of trustees meeting was bookended by discussions about the larger responsibility a school district has to the communities schools sit in, especially once those schools are closed. It began during the portion at the beginning of the meeting set aside for public comment, when adamant and angry neighbors of the now-shuttered H.S. Thompson Learning Center made impassioned pleas for the district to give their neighborhood its school back. The school was shuttered in 2013 when the district shuttered 10 other schools to save about $12 million dollars. Speakers last night insisted that the district had promised that the school would reopen or would be rebuilt. Several insisted the district had promised the school would be back in their neighborhood in two years. 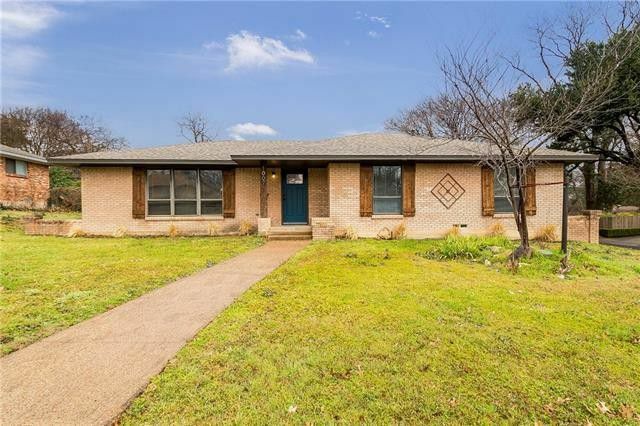 If you want to discover an up-and-coming neighborhood in South Dallas, cast your eyes toward Woodland Canyon near the Dallas Executive Airport. We’ve found a fabulous renovated Spanish-style house that’s big on style and priced right. The before-and-after pics show just how big of a transformation this house underwent. Our Thursday Three Hundred is located at 960 Glen Oaks Blvd., professionally renovated and ready for the spotlight, on an oversized creek lot with a large backyard. This home has three bedrooms, two bathrooms, two dining areas, and 2,232 square feet on one story, built in 1971 and sitting on 0.42 acres. Let’s take a look! As a blogger, I guess I could have published that last week. Instead, I made a few phone calls to the Dallas City Attorney’s office. No response. Then I made a few phone calls Monday. No one has yet to return my call. I sent an email to Paul Simms yesterday, he responded nearly immediately that he had not heard anything. 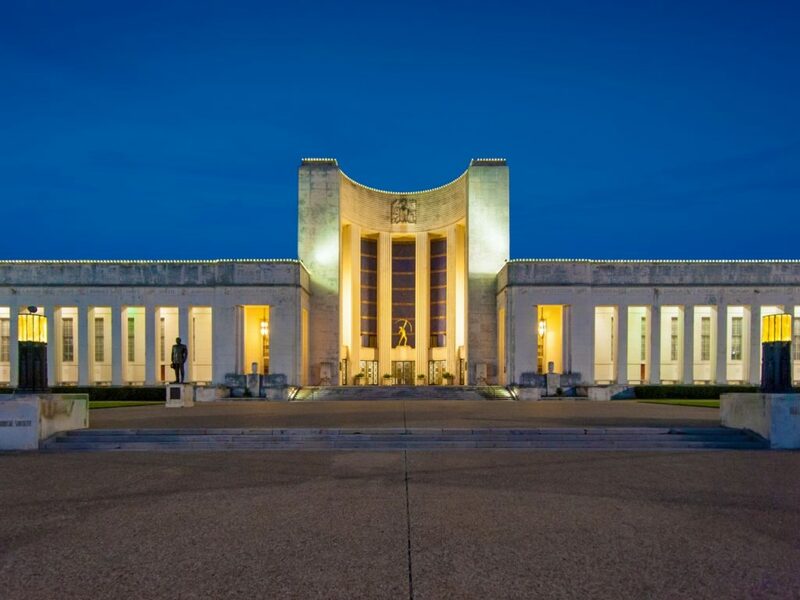 …close observers around town are beginning to place bets on strong rumors that the Walt Humann Fair Park deal will fall apart soon. The ostensible reason – the one for public consumption — would be that a new adverse city attorney opinion says it wasn’t done right. Turning Fair Park over to a private nonprofit could be good for Dallas, if it is held accountable, Jon says. The City of Dallas is set to become Fair Park’s and the State Fair of Texas’ Sugar Daddy if Mayor Rawlings and Walt Humann have their way. 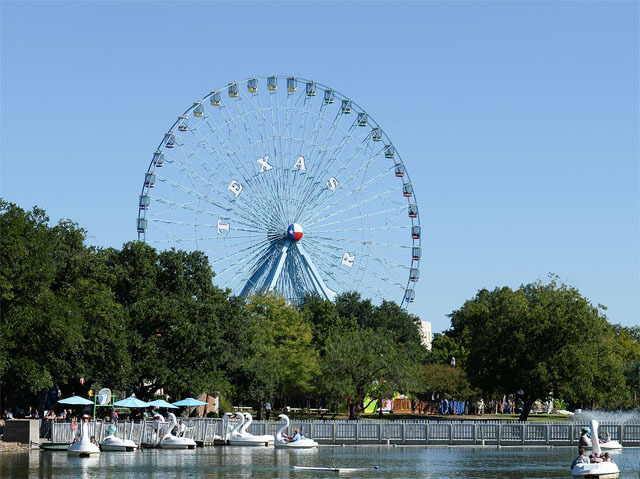 On Thursday, the Parks and Recreation Board is set to vote on the Humann plan for Fair Park, after five silenced board members walked out of the last meeting after Parks Board President Max Well sought to limit discussion on the plan, leaving the meeting without a quorum. Those were five brave, and I think correct, souls. To back up a few days, there was a flurry of activity on Monday. First, Mayor Rawlings had a press conference to whine about a meeting later that day titled, “Our Fair Park: A Conversation About a Dallas Treasure” to which neither he nor District 7 representative Tiffinni Young were invited. While not being invited to the stage, they certainly weren’t precluded from attending the meeting, which by all accounts they didn’t. The meeting was a place to yet again voice concerns that have been unanswered by Humann and Rawlings. 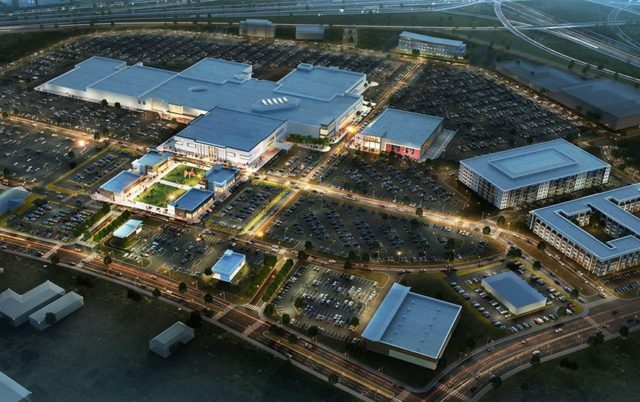 The issue for opponents isn’t the setting up of a public-private partnership for the stewardship of Fair Park. The issue is the shroud this plan has operated under and the fear that the management contract with the city has loosey-goosey language and blank timetables that enshrines continued opaqueness for the next 20 years (the term of the contract). For example, requirements for public meetings and open records are apparently not in the most recently distributed management agreement. But both Rawlings and Humann claim this is a myth along with the contract’s lack of specific planning goals to reconnect the park to the neighborhood, install needed parklands and the like. 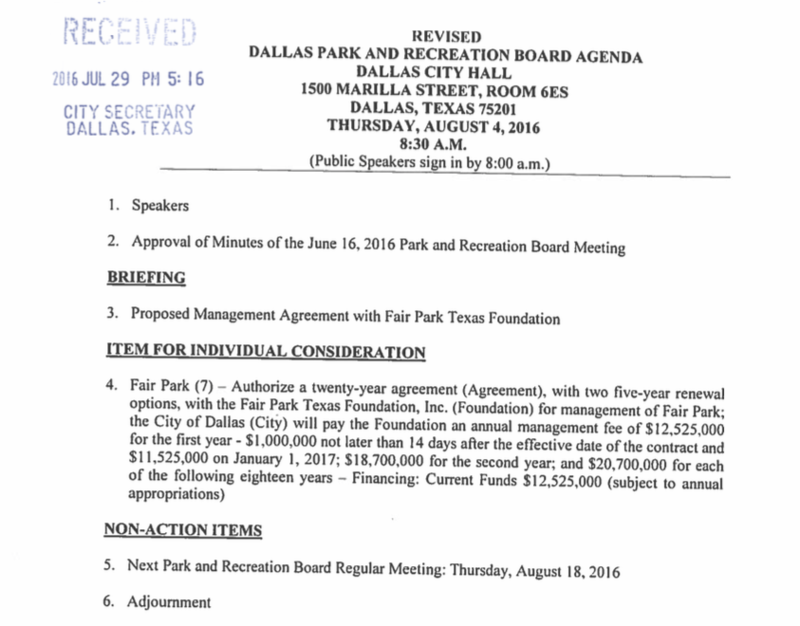 UPDATE: The updated agreement is now available as part of the Parks Board meeting agenda for Thursday. The new document does have language supporting open meetings but is unclear on public access to financial records beyond IRS Form 990. The document is a HEAVILY edited work-in-progress with pages and pages of strike-throughs and edits visible along with a boatload of blank pages. Hardly the sort of condition a document of this type needs to be in on the eve of a multi-million dollar vote on a multi-decade project. UPDATE: We have the entire agenda, including the unabridged version of the Walt Humann proposal for managing Fair Park, embedded at the end of this piece. If you care about the fate of Fair Park, you may want to show up to the Park Board meeting this Thursday. Or at least read the 20-year, $12 million management contract that the Park Board will be voting on. 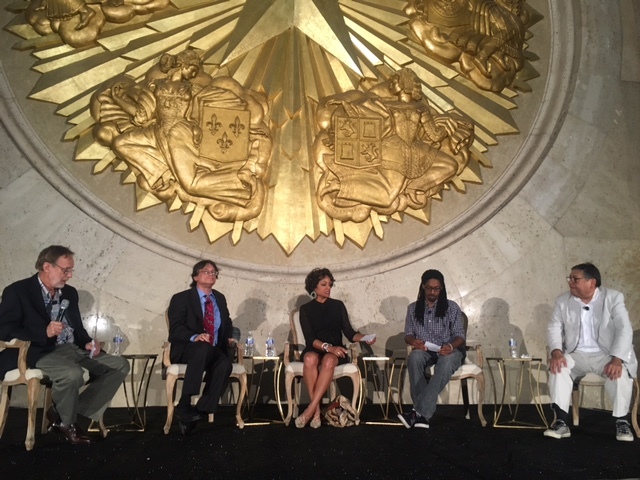 Monday night’s panel discussion on Fair Park and the potential Park Board vote on Walt Humann’s management contract filled the Hall of State (around 300 attendees.) Despite Mayor Mike Rawlings’ last-minute press conference Monday afternoon to “make sure everybody knows the exact truth of what’s happened,” that everyone’s behind this approach (a private firm managing Fair Park), that the Park Board has been talking to Walt for two years, and “now it’s time to vote.” It was all too dismissive of the community meeting scheduled for later in the day. The community meeting was organized in less than 1 week, in response to the July 21st Park Board special work session meeting where board members walked out (see about minute 31 of the meeting) in objection to the truncated meeting agenda which limited a thorough discussion on the proposed management contract. They are expected to vote on the management contract at the upcoming meeting at 8:30 a.m. Thursday, Aug. 4, which would then set it up for a city council vote. To enact the management contract for the next fiscal year, the agreement would need to be passed through council before next year’s budget is approved in September. These boards meet once a month, and the council meets twice a month with time required to put items on the agendas … you see the rush. South Dallas Part 2: Is South Blvd. the Next Swiss Avenue? If Part One was a bit of a Cliff Notes version of the South Blvd and Park Row historic neighborhood, then this column gets you into the game. While purchasing one of the current listings can’t be considered the “ground floor” of this burgeoning area, there’s still plenty of sweat to be turned into equity. For those truly seeking the ground floor, keep your eyes peeled one of the area’s derelict properties to hit the market. 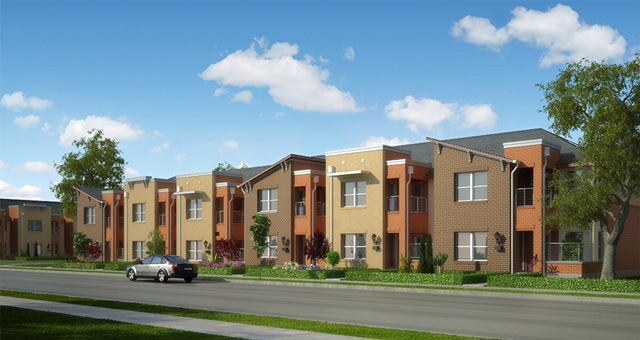 The first phase of the Fiji Townhomes development is almost sold out. The affordable prices and functional floorplans are attracting a lot of interest. The first phase of the Fiji Townhomes at Compton and Fran Way won’t be finished until July and it’s almost sold out, says Virginia Cook Realtor Angela Downes, who is marketing the property. The brand new development by Sphinx is set just west of Corinth and south of Cedar Creek in an area ripe with opportunity. 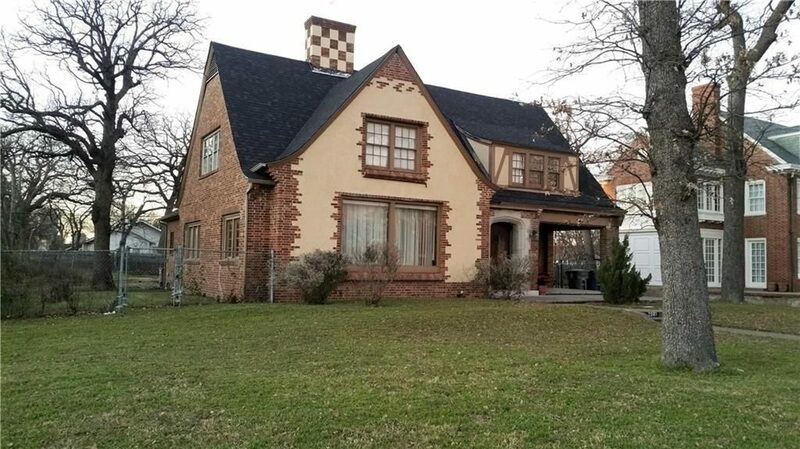 Of course, Dallas is experiencing a real pinch in entry-level homes right now. With median home prices in our region topping $300,000, Candy has declared the $200,000 range all but unattainable, relegating an entire generation of would-be homebuyers to keep forking over their meager salaries to their landlord.